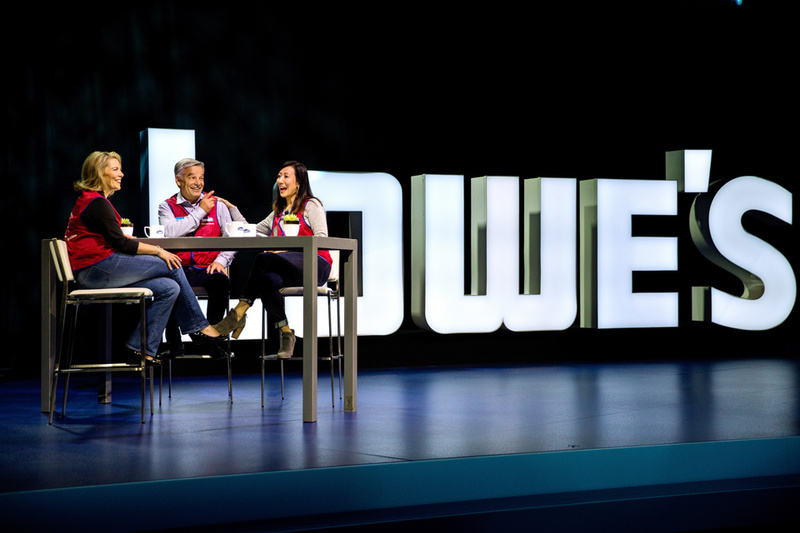 Attendees love it when they can have a meaningful role in the presentation, so we’re always looking for ways to get them involved. 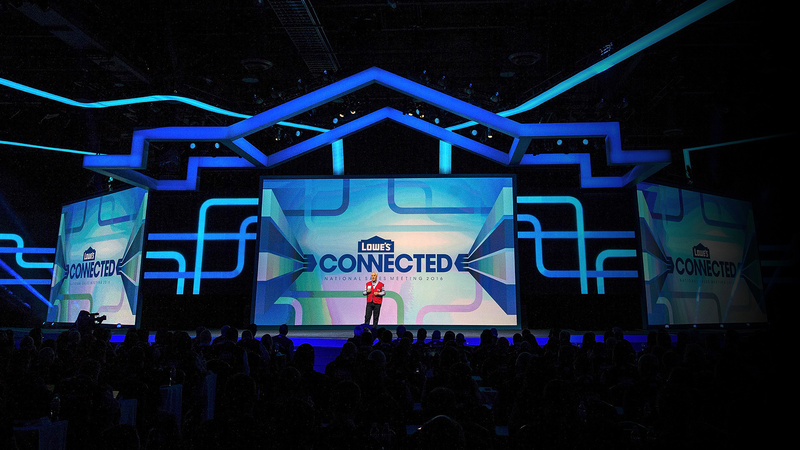 For Lowe’s, for example, we have given attendees the honor of introducing Executives. 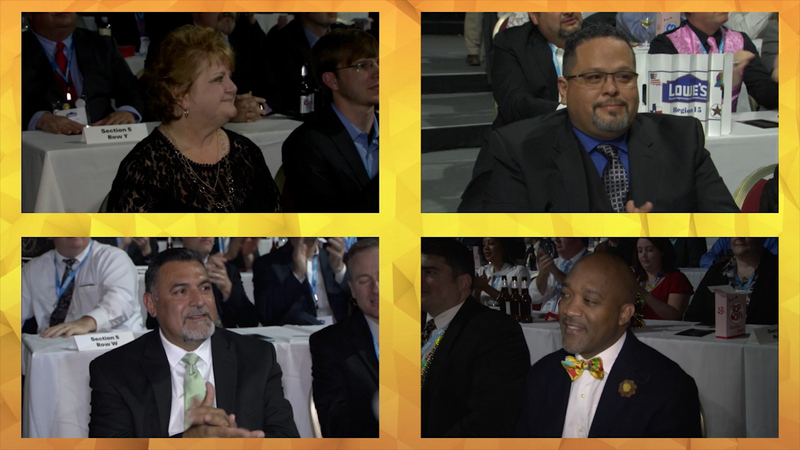 We love watching the smiles on their faces when Executives shake their hands, and thank them. And we can feel the aspiration in the house of others as they hope they’ll get to go onstage next year. 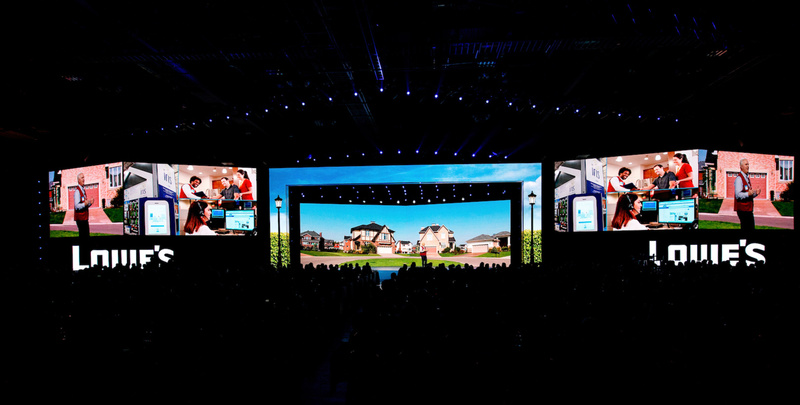 Beyond being a part of the show, we sometimes make attendees the stars of the show. 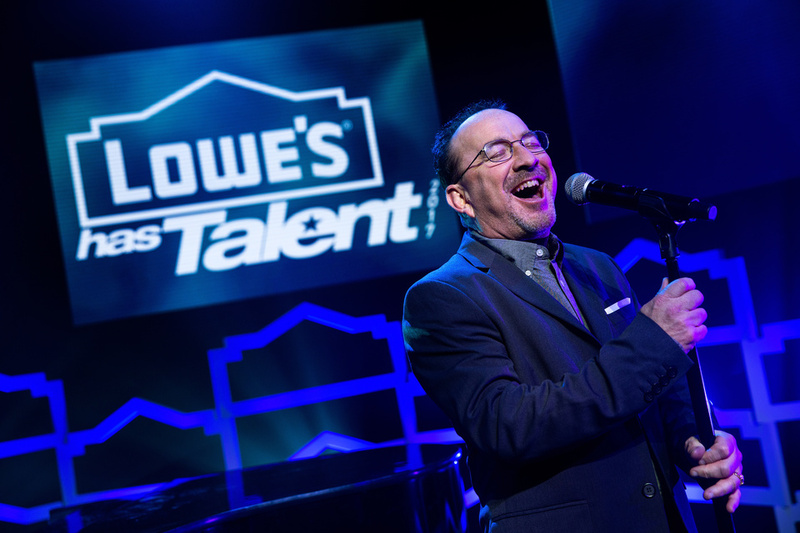 Lowe’s has so many employees, we have been able to hold talent competitions, and hand-pick some absolutely amazing talent from within Lowe’s to serve as entertainment. 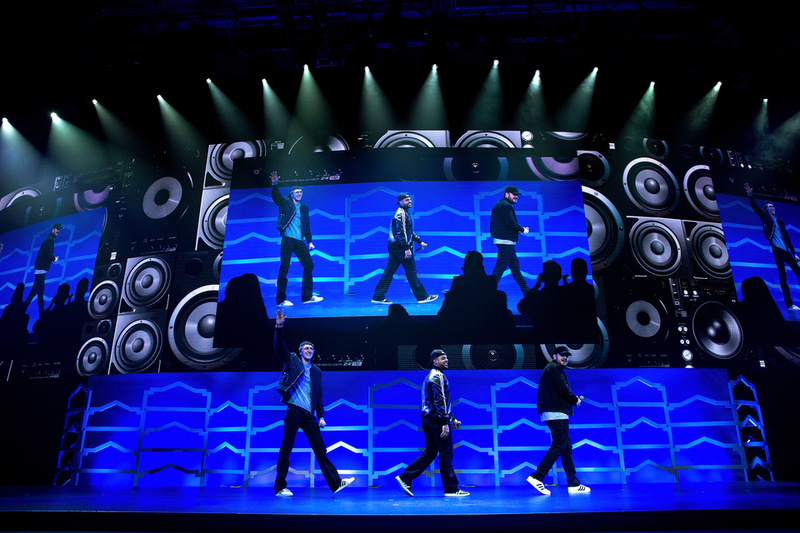 Not only is the audience blown away, the performers get treated like stars in ways they never have before. It’s a truly life-altering experience. We even make sure there are no orange M&M's in the dressing room. 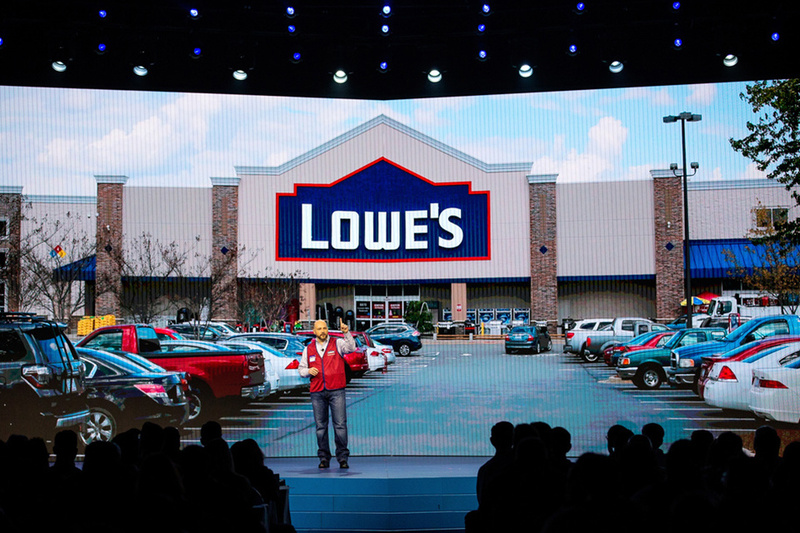 Then, when it comes time to recognize their best of the best, nobody puts on a more exciting awards ceremony than Lowe’s. 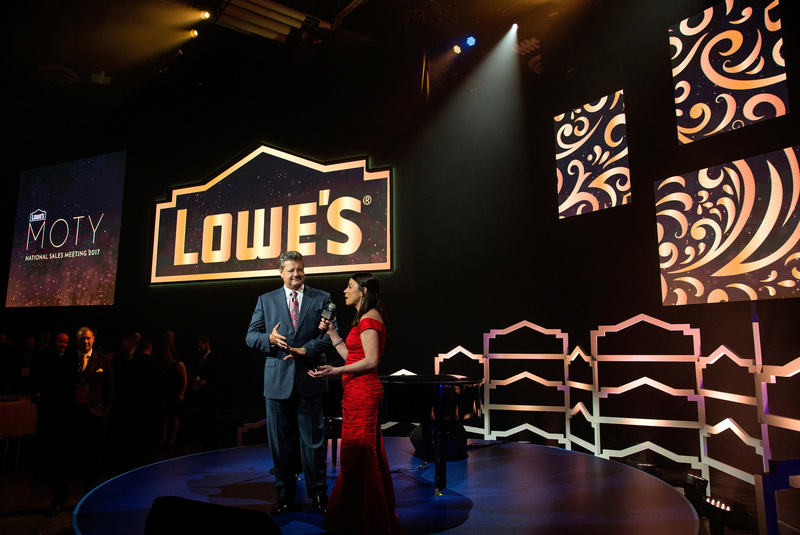 With a blue carpet experience, everyone dressed to the nines, and 4 wireless camera teams roaming the audience to get reaction shots from every nominee, the Lowe’s Manager of the Year show is the closest most people will ever get to the Oscars. The only thing we don’t do is let the show run long! Even most custom sets have a generic feel about them. 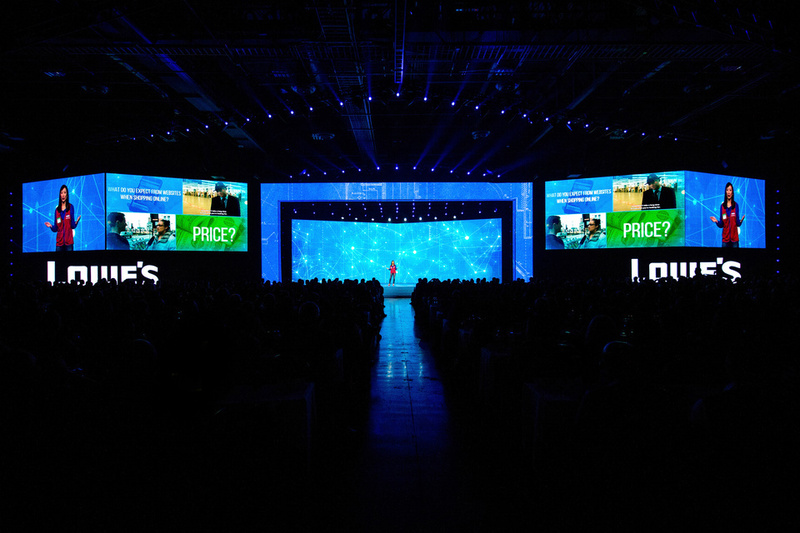 Turn the lights off, and how do you know what brand that set is meant to serve? But at Lowe’s that’s not the case. 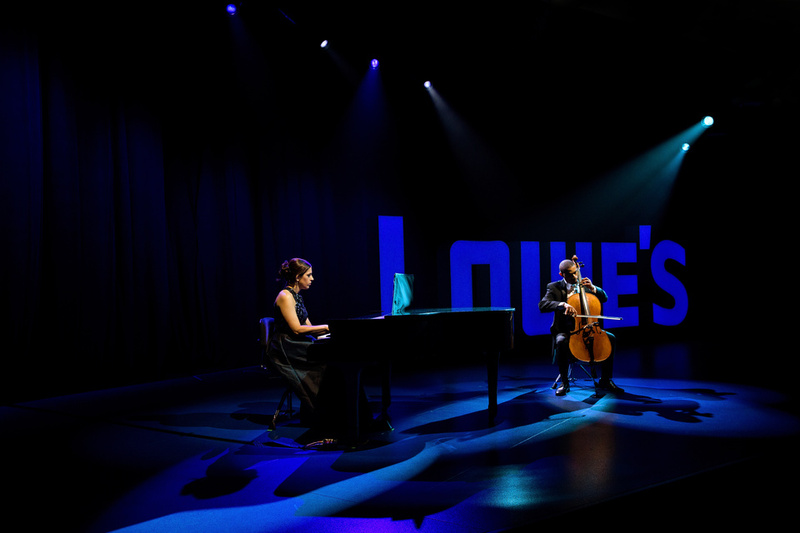 Every set we design for them has an on-brand environment. 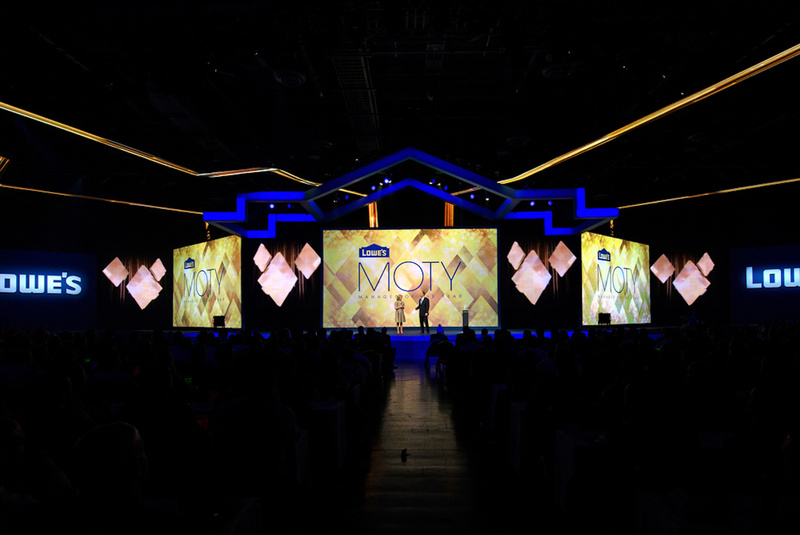 The Lowe’s gable is present, and the inclusive personality of the brand comes shining through. 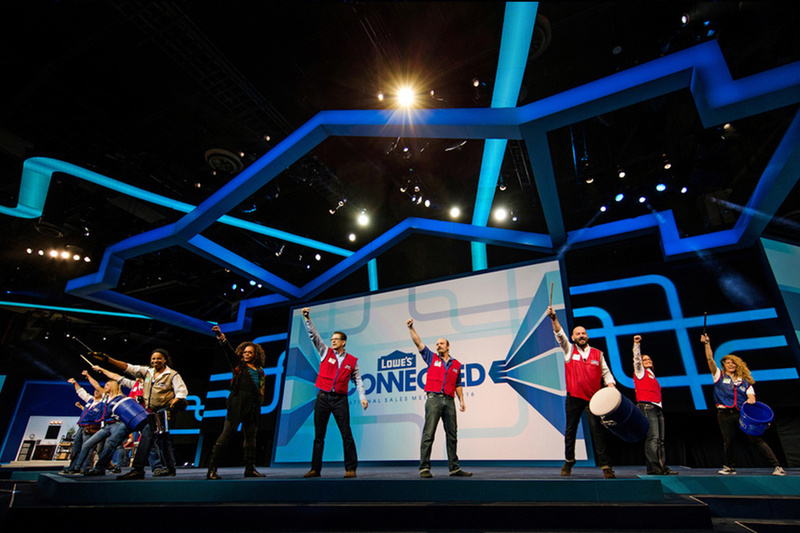 pro*sce*ni*um (n): The supporting arch at the front of a stage through which the audience experiences a performance. 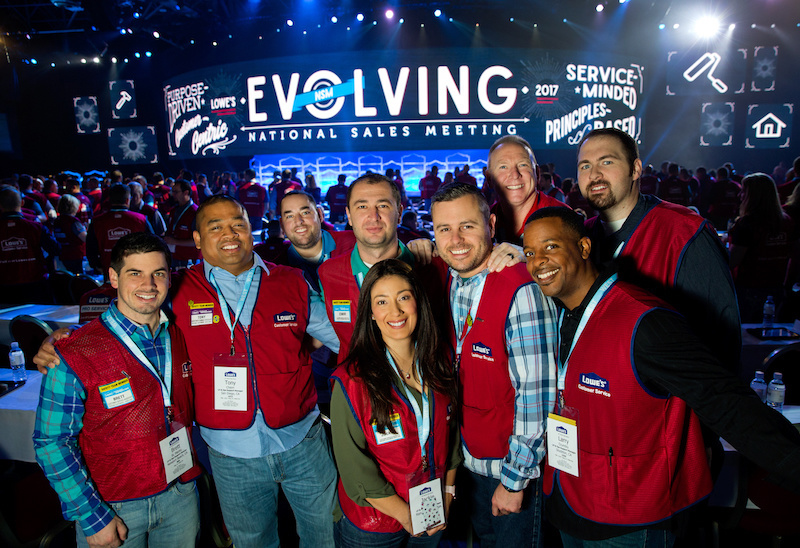 pro*sce*ni*um (n): A different kind of event marketing agency - focused on live events for employee, business and consumer audiences.